This program combines a dynamic and communicative-focused English language program with an exciting outdoor activity program that takes advantage of the amazing possibilities offered by a charming city in the South Coast of England. Ideal for the most adventurous of students! 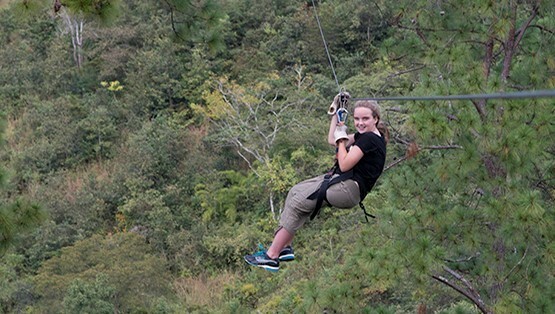 You will learn to rock climb, surf or zip-line, all in a controlled and safe environment with qualified outdoor adventure professionals. Included: Full board accommodation; transfer to and from the destination airport; health, travel and liability insurance; highly qualified native teachers and activity counsellors; supervision and 24 hours emergency phones of our office during the program (in English and Spanish).